At Premier Pilates and Yoga, we offer the highest quality instruction in a supportive environment. 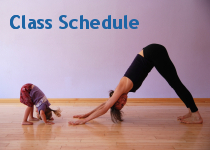 We offer several group classes in pilates and yoga as well as specialty classes to cater to everyone. See new events, workshops & training services at the studio, as well as specials for new and existing clients.